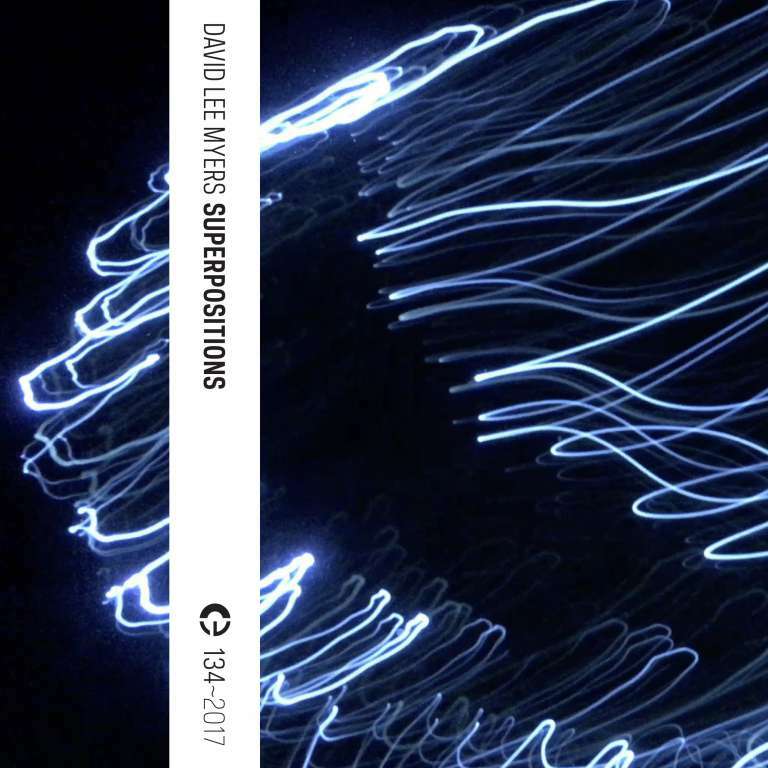 David Lee Myers (aka Arcane Device) releases his latest album of Feedback Music, titled Superpositions . These pieces have been created through the use of specially configured electronic components, none of which are designed to produce sounds on their own. Rather, audio processors are wired so that their inputs are fed their own outputs, as well as the outputs of other processors, via a series of matrix mixers. The whole assemblage is played as a real-time instrument, producing tones and patterns ranging from subtle sound washes to cacophonous deluges. Superpositions is a meditation upon the unseen forces and energies inhabiting the subatomic world. David Lee Myers finds his sounds in the off-screen space of feedback networks. By patching the output of an electronic audio device, such as a mixing board, back into its input, Myers is able to conjure and navigate within this space... He takes snapshots of the sonic entities populating these spaces then arranges them into etheric photo-mosaics. David Lee Myers is a sound and visual artist living in New York City. Since 1987 he has produced electronic music via his custom “Feedback Machines” under his own name, as well as Arcane Device. 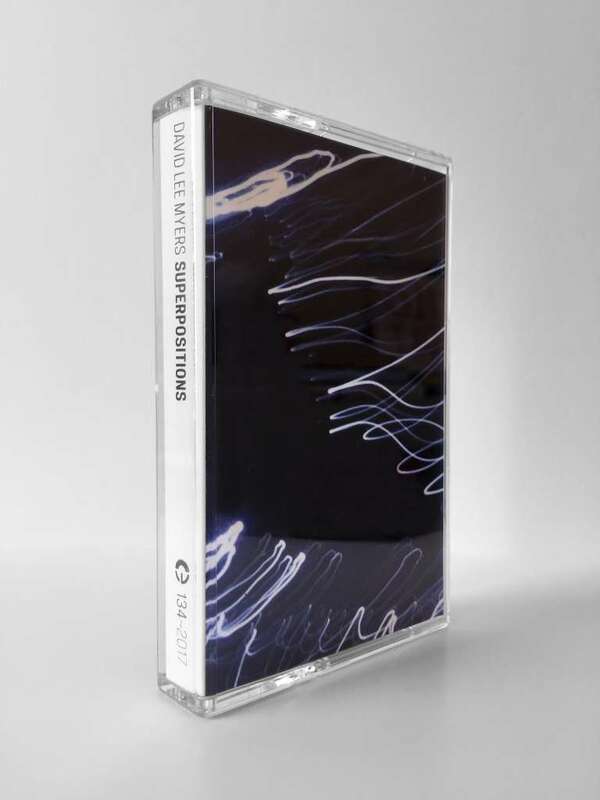 Myers has had dozens of recordings released by Starkland, ReR, Generator, Line, Silent, Pogus, RRRecords, Staalplaat, Monochrome Vision, and many other labels. Collaborations have been produced with Gen Ken Montgomery, Thomas Dimuzio, Ellen Band, guitarist Marco Oppedisano, Dirk Serries, and noise maestro Merzbow. Two Albums were created with legendary electronic pioneer Tod Dockstader, and four others with Hamburg’s master sound manipulator Asmus Tietchens, with a fifth in progress. Myers has performed his sounds and visuals at New York’s Generator, The Kitchen, Roulette, Experimental Media Foundation, the Knitting Factory, Clocktower, MoMA/PS1, Outpost Artists Resources, Trans Pecos and Silent Barn, as well as the San Francisco Electronic Music Festival, and the Boston Museum of Modern art, among others.